I love to get gifts. Even though I’m a grown adult, I expectantly wait for Christmas and my birthday. I love presents! 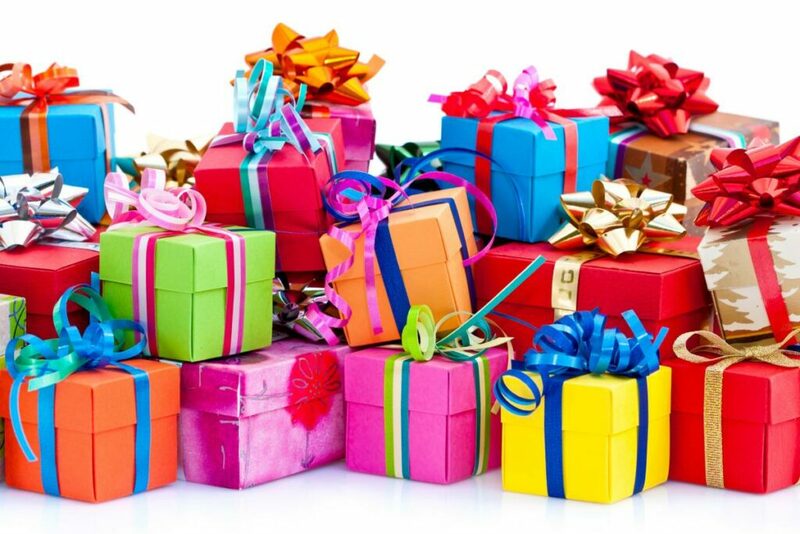 It’s fun to tear open the colorful wrapping paper and discover the new surprises within boxes and bags. Special gifts are always remembered. We can recall the date, place, and circumstances when we receive gifts of special an enduring meaning. We also remember who gave us special gifts and we treasure these people for their thoughtfulness in love. In our crazy world today in which televisions, radios, and social media all clamor for our limited attention, the greatest gift we can give is the gift of listening. There are so many people talking but who is listening? 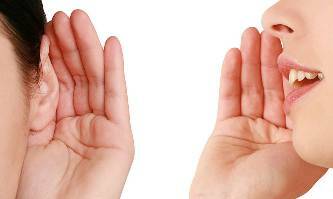 Listening, not just hearing, blesses people who have something to say, an idea to share, or the need for affirmation. Listening is a skill and we can improve our competency as leaders and innovators to be better listeners. Listening skills require us to first set aside our own agendas. Most people admit to thinking about what they’re going to say next in a conversation when the other party is talking. If you are busy thinking about your next statement, how can you hear and digest what that other person is saying? Tip:  Jot down a word or phrase so you can remember what you think is important in the conversation. Then, quickly turn your attention back to the speaker. You may find out that he or she is headed in a different direction than you originally thought. You don't want to misdirect the conversation by your assumptions. Good listening skills require active participation in the dialogue. You need to ask questions and seek feedback to be sure you really understand what the other person is saying. A good listener will ask clarifying questions, offer analogies, and restate the conversation to validate they’ve heard correctly. Tip:  Use the phrase, “What I  heard you say is…” to clarify the conversation. This allows both parties in dialogue time and perspective to clarify the statements. Using a neutral feedback phrase is especially important in challenging or difficult conversations. Finally, it should go without saying that when we are having a conversation with someone, we give them our undivided attention. You should put your cell phone on mute and put it away. It is rude and distracting to check your phone during a conversation. Think about how you feel if someone is constantly checking their phone while you are talking. It is belittling and makes you feel less important than the phone. When you are listening, you need to be fully present. Tip:  If you are expecting an important phone call or message, inform the other party of your expectations. You may agree to have the conversation at another time, or you may agree to end the dialogue when the important call comes in. But, under no circumstances should you check your phone repeatedly while talking to another person. In a conversation, the most important person is the person across the table, and you need to give them your full and undivided attention. Listening is a key skill for successful leadership and continued success in innovation. We must listen carefully to our customers to understand their needs and wants. It is futile to try to design and develop new products without customer feedback. New product development (NPD) practitioners need to carefully listen to customers at the front end of projects. This is called qualitative market research and involves gathering thoughts and feelings of potential customers. You’ll want to investigate what their problems are and how they are currently solving these issues. Ask about the shortcomings of current product solutions and also ask customers to describe their perfect solution. And while you might feel that a perfect solution is impossible to engineer or manufacture, it will give you insights into the most important features and attributes necessary for a successful new product deployment. One of the most crucial skills for listening to customers is to listen with empathy. Empathy means we have put ourselves into their shoes. Instead of viewing innovation from the development standpoint, we view products from the user’s perspective. Admittedly, this is sometimes difficult for complex products and in B2B situations. However, Design Thinking offers tools and methodology is to help build customer empathy. Design Thinking is a model that helps NPD teams identify and solve relevant and pertinent customer problems. The steps in the model are to Discover and Define the correct problem, then Create and Evaluate multiple solution alternatives. With rapid prototyping and testing, the “best” solution is delivered quickly to the marketplace. And because the Discover and Define steps involve empathetic listening, the product solution is devised completely around customer inputs. Two of my favorite tools for building customer empathy – listening to needs – are the customer journey map and the customer empathy map. The customer journey map documents the path taken by different segments of customers as they first become aware of their own problems, how they investigate product alternatives, the choices they make, the purchase, and finally, after-purchase support. The customer journey map can illuminate ways to make product decisions easier for a customer as well as highlighting the true issues a potential customer faces. Such discovery leads to enhanced innovation. Next, the customer empathy map documents how a customer thinks and feels about the product or problem. What keeps them awake at night? Where do they get information from? Who influences their decisions? All of these qualitative bits of data lead to better design decisions in creating features and attributes for new products. Leaders are tasked with listening not only to customers but also team members. Once you’ve framed the innovation problem with Design Thinking tools, the NPD team must execute the development, manufacture, and marketing of the new product. Team leaders need to listen to their teams to continue to build creativity, and also to monitor conflicts and changing market conditions. To manage these objectives, we again turn to Design Thinking. A key tenant of Design Thinking is to deploy the ideas of agile project management and open innovation– stay in constant contact with your customers. Design Thinking tools encourage frequent collaboration and feedback with customers. Prototype testing of feature sets validates the Discovery and Define stages of the problem statement. And NPD teams get real-time, exact feedback on the quality of their designs. It is quicker and cheaper to make changes in the product while it is still under development which makes continuous feedback invaluable. You can also use Design Thinking as a leader to build creativity. Noun/verb matching exercises, productivity monitoring, and role-playing are a few tools we use in Design Thinking to help build empathy. Empathy builds trust and trust supports effective teams. Many of these brainstorming techniques also serve individuals well as they seek to make personal and professional decisions. Join us on Tuesday, 16 April at 7:30am or Thursday, 18 April at 3:30pm to learn about the Life Design Master Mind group. the webinar is FREE and, based on your feedback, we have redesigned the online workshops to make it extremely affordable! Listening is a skill and active listening is a gift. Leaders and innovation professionals can give the gift of listening to team members and customers by asking for feedback, building empathy, and being fully present in a conversation. Deep listening not only shows respect for the person with whom you are talking but will enlighten you with their needs, joys, and drivers. When you give the gift of listening, you are truly demonstrating love and leadership. To learn more about Design Thinking, we have a workshop on 22 April followed by a 2-day Agile NPD course. Use the code “bundle” to save 15% on a standard registration. And don’t forget to register for the free informational Q&A webinar on Life Design Master Mind 16 April or 18 April. Click here to register. Contact me at info@globalnpsolutions.com or area code 281, 280-8717 for more information or questions.